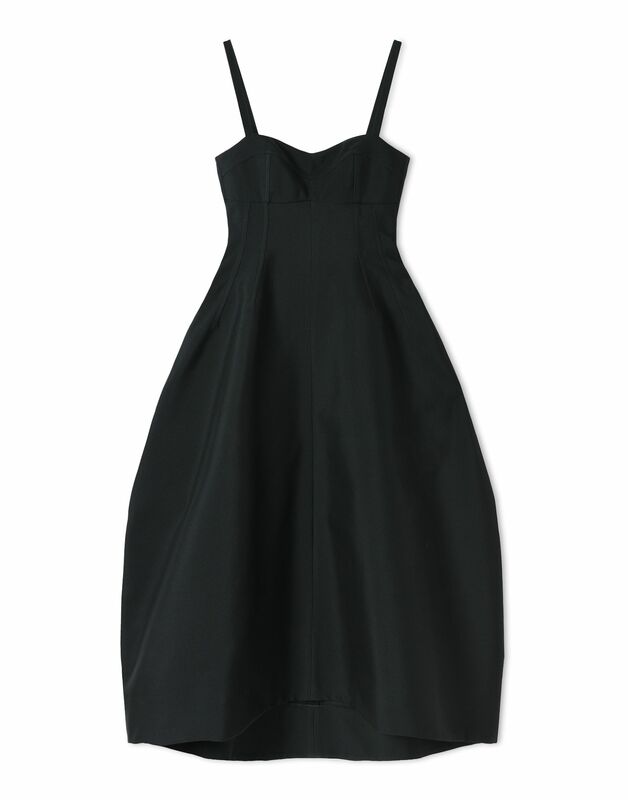 Long bustier dress with a generous round volume. The shaped bustier extends to a curved, off-the-body volume. Pockets are on the sides.